Rumbly tummies are no match for this collection that gets little ones involved in the kitchen. There's something here for every culinary-minded cutie, all with just-their-size baking pans and baking tools. 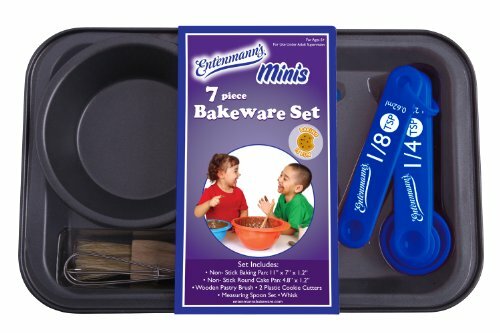 If you have any questions about this product by Entenmann's Bakeware, contact us by completing and submitting the form below. If you are looking for a specif part number, please include it with your message. Boxit Single Wall 0.5 Sheet White Gold Scalloped Cake Pad -- 100 per case.